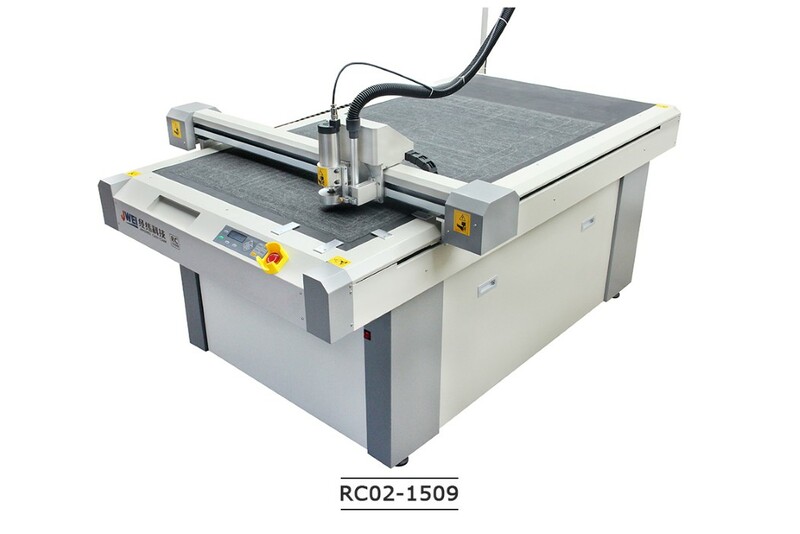 "JWEI RC02 Apparel PVC Proofing Cutting Plotter "
Provide a full automatic solution for apparel industry. Reduce cost. Milling cutter : professional cutter, cut smoothly, not rubbed again. 2. Multi-sectors Vacuum Table Vacuum Table in structure is made of five suction sectors, which you can conveniently operate on Touch screen Menu, to turn on/off suction of selected sectors. By this function, suction can be gathered to the specified table area where materials are placed, for where no material, there''s no suction, and therefore offfers more satisfactory suction performance. 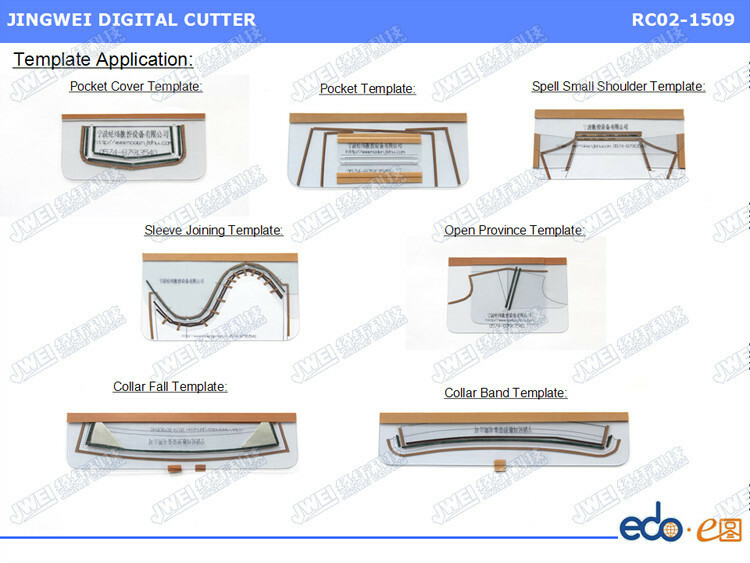 PVC board, Acrylic board, Density board, Plastic board etc. Kraft paper, Ivory board, Sulphite paper.